I woke up this morning and looked out my condo window only to see whitecaps everywhere. 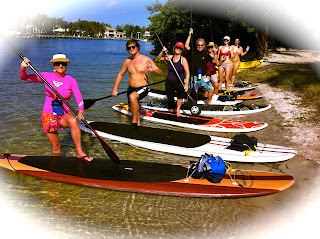 Today I had an Excursion set up to go to Coral Cove in Jupiter with beginners. Knowing that the wind was going to be challenging we changed our location to the back waters and tributaries of the Intracoastal. 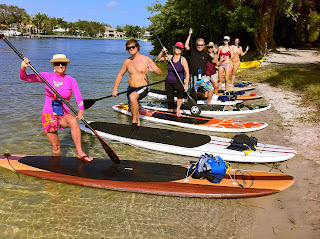 Since Paddleboard Excursions is a mobile, not a stationary, excursion company (meaning we go everywhere ) we were able to find some calm waters that worked great for beginners. 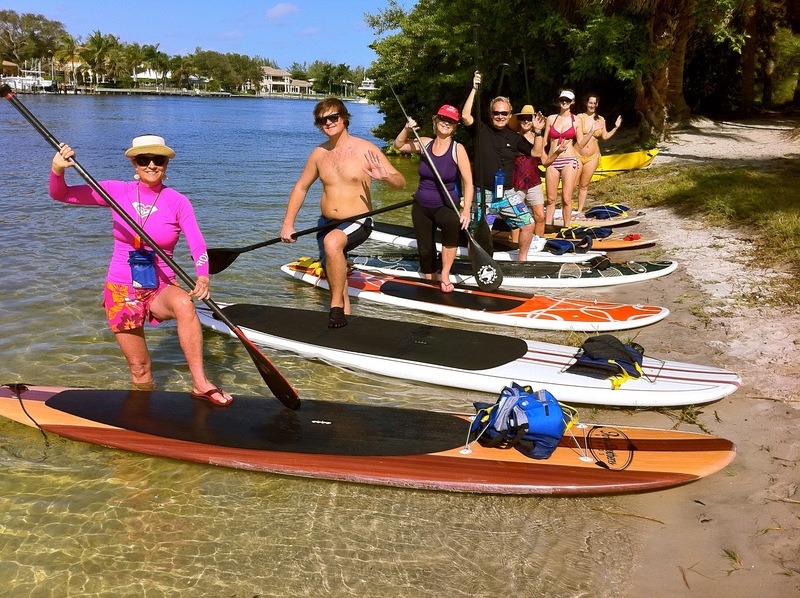 Paddleboard Excursions has 7 boards that are loaded into the back of a van and can be transported anywhere that the conditions are the best for that particular day. 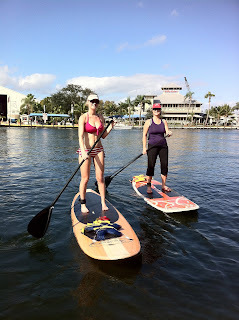 We have Synergy boards from Florida Paddleboards and two woodies from "Three Brothers" out of Daytona that you can demo if you are considering buying a board. All professional equipment including floatation devices. We can help you design the Florida experience you have always dreamed of. A Romantic getaway to a private beach for a picnic with wine and cheese or peanut butter and jelly sandwiches. You dream it up and we will make it happen. 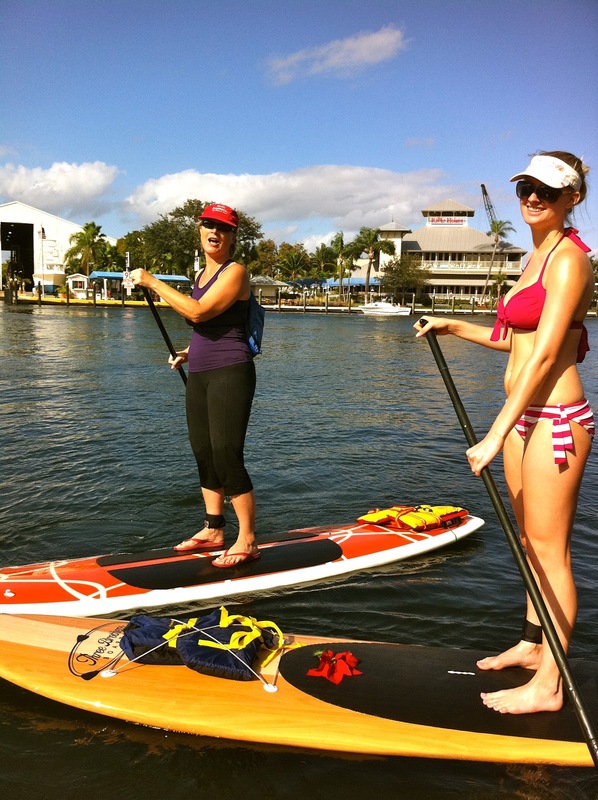 Hidden beaches are common along the Intracoastal and a great place to learn to paddleboard. 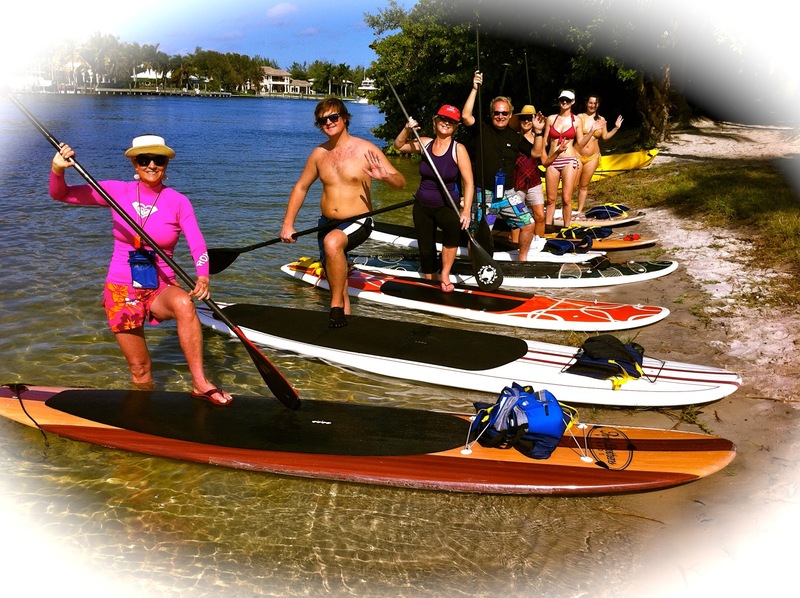 Everyone on this excursion was standing and paddling in a few moments. A few of them made a splash occasionally but that is to be expected when you are learning. Even though the waters have cooled down some, it was refreshing to fall after you had worked up a sweat. Stand Up Paddleboarding is great exercise. There are beautiful homes in some areas along the Intracoastal. Seeing them from the water gives you a real feel for Florida living at its finest. In fact, I can tell you the best waterfront locations to buy a home and refer you to my Realtor friend who specializes in waterfront properties. 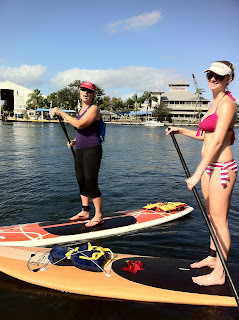 Amy and I love to be out on our Stand Up Paddleboards checking out and discovering the best waterfront properties in northern Palm Beach County which includes Jupiter, Tequesta, Palm Beach Gardens, North Palm Beach and Singer Island. We started early Sunday morning and rewarded ourselves by going to Cathy's Beach Connection for Brunch. 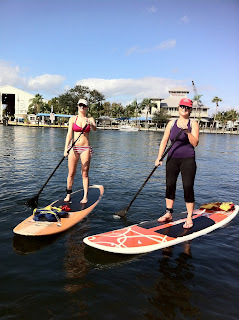 A great place to go after surfing or paddle boarding. The food is wonderful, the waitresses are friendly and the attire is anything goes, so wet swimsuits work! Come join Paddleboard Excursions and see and experience Florida like you never have before!